Our customers are often interested in knowing what the differences between the Tecnifibre Carboflex X-Speed squash racket models are. Before getting to that point, let me just introduce the rackets. 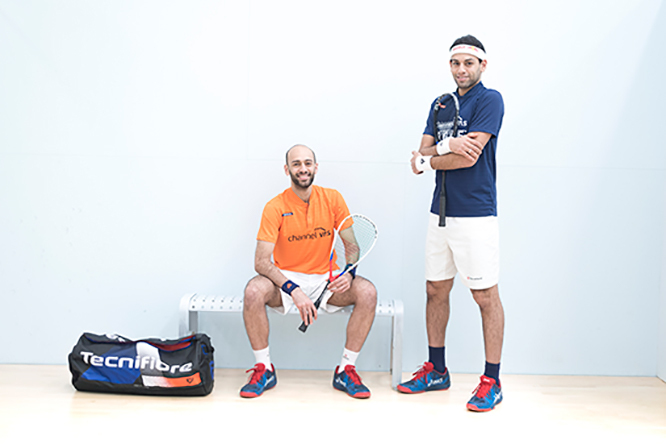 Currently, there are two models weighing 125 grams: the Tecnifibre Carboflex 125 X-Speed, the new racket of Mohamed Elshorbagy, the current world champion and world number one, and the Tecnifibre Carboflex 125 NS X-Speed, the racket of Nour el Sherbini, women’s world number one and last year’s world champion. In Carboflex X-Speed series we also have the Tecnifibre Carboflex 130 X-Speed (130 grams) and the Tecnifibre Carboflex 135 X-Speed (135 grams) which has a significantly thicker shaft. What’s new about the Tecnifibre Carboflex X-Speed Squash Rackets? Tecnifibre has made a number of adjustments to the very successful Carboflex line in order to improve the playing characteristics of these already excellent rackets. For example, the response by the strings is better and the top of the shaft has been redesigned to offer you more ball control. Furthermore, elongated slots with an elevation on both sides of the shaft, the so-called 'iBlades', ensure that the frame is stronger and stiffer. During a shot, you are therefore less troubled by disturbing vibrations caused by the impact of the ball on the frame. Finally, Tecnifibre has nicely concealed the end of the grip under an elastic material. This 'Shaft Crown' keeps the grip firmly in place and gives the racket a neat look nice even after you have replaced the grip. The Carboflex X-Speed models all come strung with the excellent DNAMX string with a thickness of 1.2 mm. 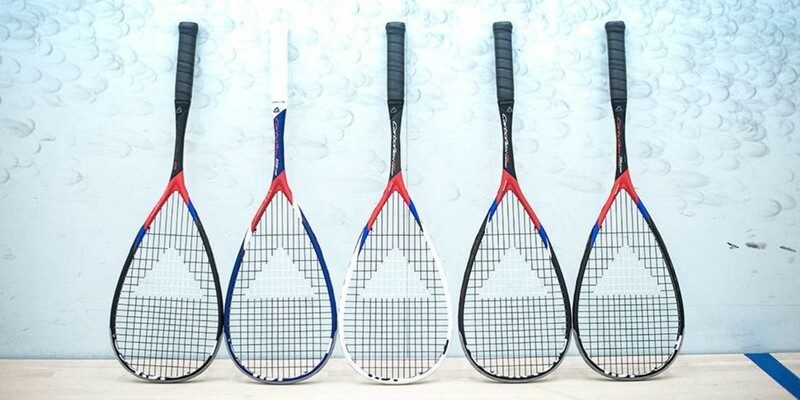 What are the differences between the Tecnifibre Carboflex X-Speed Squash Rackets? Both Carboflex X-Speed 125 models are exceptionally light and extremely manoeuvrable, making them particularly suitable for offensive players who try to score points with short, explosive rallies. 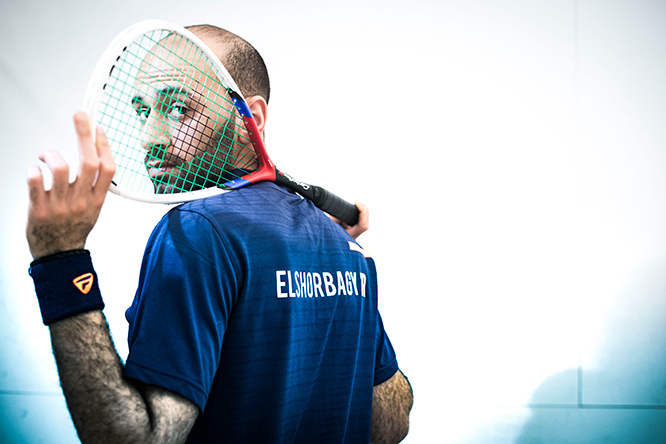 The blue racket by Nour el Sherbini is otherwise identical to the black Carboflex 125 X-Speed by Mohamed ElShorbagy, but has a smaller grip size. If you find the standard grip of the Carboflex rackets too thick, then this racket is an excellent option. The thinner grip makes it perfectly suitable for juniors, too. The Carboflex X-Speed 130 is 5 grams heavier and has a somewhat higher balance point and is therefore a bit less agile. This racket is ideal for players who like to play longer rallies and prefer to feel a bit more weight in their hand. The heaviest model of the X-Speed series stands out with the considerably thicker shaft. This racket is the most solid of the models and therefore particularly suitable for players who are looking for a powerful racket which is easy to play with. Because of the voluminous shaft and the slightly higher weight, the Carboflex X-Speed 135 is easy to control. 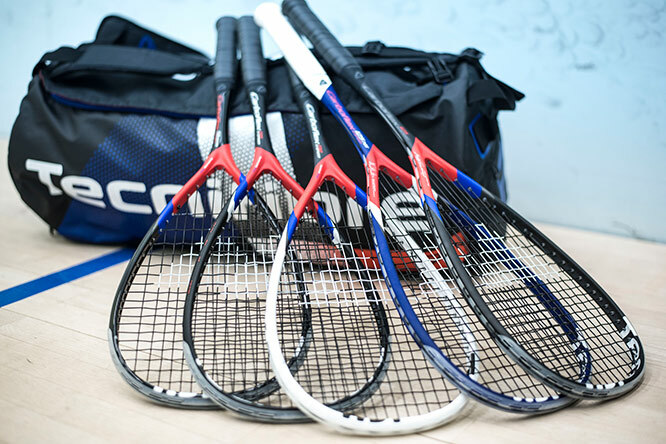 It makes having fun on the squash court easy. Tecnifibre has also designed matching Air Endurance squash bags with many innovative features for the Carboflex X-Speed rackets. We will soon test the Tecnifibre Carboflex X-Speed squash rackets and share our impressions in our detailed reviews. So stay tuned!